A custom which evidently orginated with the Chinese ages ago when nothing was known of the physiology or the intimate mechanism of the eye, has now grown into a sort of unwritten law. The new law is that no cure is possible for an eye with a faulty func ioon Such a law ignores the obvious truth that there are always cases in evidence of spontaneous cures of the different conditions for which artificial lenses are prescribed. Since eyes with faltering vision do recover normal function without any assistance, why should it be thought unreasonable to expect that other eyes in the same abnormal condition can be assisted successfully into a normal conduct? When one wanders away from countries which are known as civilized, it is found that the great mass of the race is getting on very well without the help of the glass lenses of ancient China. Uncivilized people need their eyes. 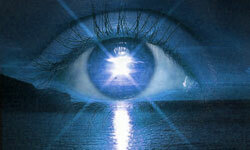 In the day and in the night good eyesight is necessary for the preservation of life. They have found no necessity for glasses. Suppose we consider in a simple direct way, some of the plain and obvious factors in this vital and serious problem. Those of us who are older will have a better realization of the significance of the new conditions which have developed so rapidly. Many are remarking theJarge percentage of the population of our cities now wearing glasses. The same people remember that some years ago it was quite different. These people, because they are conscious of this feature of public life, are impressed with some of the special aspects of it. The number who are wearing glasses is growing with a rapidly increasing ratio. Like any new style or fad which pleases the popular fancy, the wearing of glasses is rapidly becoming a national habit. Healthy young persons who have fine natural vigor in every other way, suddenly realize that their eyes are helpless, and proceed to secure a pair of becoming spectacles. Not so many years ago one felt like apologizing for such a confession. Thcre is no thought of that now. The lifelong expense, and the hampering restrictions of glasses are commonly accepted as an unavoidable nuisance. But often, on the other hand, the opportunity to parade them is sought with an apparent eagerness. How far will this new habit lead the American public? What will be the consequences to the na tion? Young people used to shrink from the taunt of “four-eyes.’. Now the only concern seems to be how to select the most ornamental and becoming spectacles that the budget can pay for. Why is this true, and what are the causes, or the influences, or the selfish purposes which are producing and developing this breaking down and degenerating of the priceless necessity of daily life – the power and reliability of the human eye? What will be the penalty paid for the ultimate success of a program and a campaign which boasts in public print that it made everybody at the Chicago World Fair “eye conscious”, and has established a nationwide campaign to make everyone in the United States “eye conscious”? What does “eye conscious” mean? When the organization with such a tremendous program and propaganda represents an industry with a gigantic plant for the manufacture and sale of artificial lenses, it is in evidence that people are to be made eye conscious so that they will protect their eyes from harm by buying the glasses which the organization makes. In accordance with this ambitious project there is a vast network of commercial agencies and high pressure sales devices. There are more and more optometrists, and there are new and most attractive window displays of dainty frames for exquisite new lenses for which wonderful mechanical improvements are claimed. There is a new line of engraved mottoes in which the public is told that the storekeeper is a vision scientist. Again it is explained that the eye is a work of extreme complexity, and the optometrist must have a complete understanding of its functions and its deficiencies. But he, and you, we are told, must depend upon lenses to carry out precisely the correction that is necessary. There are even gaudy lithographs of eye specialists long dead, who are on dress parade, and are supposed to add their benediction to the purchases. There are other gorgeously colored pictures with quaintly typed explanations under them telling that in China, five hundred years before the Christian Era, the wise men of that country wore spectacles, and in the picture they have imaginary spectacles on, remarkably like the ones worn here until the new style of the last few years began the series of changes, which now are just like the changes in the style of hats. Again we are shown the fops and “socialites” of Europe, overdressed just as the Mandarins are in the Chinese pictures, with showy. spectacles on their faces. There is again an explanatory text. It tells us that from the fourteenth to the seventeenth century many wore spectacles for adornment, as it is written, and as an aid to vision. Are the coming generations of the United States to wear spectacles for adornment because it was a fall some centuries ago, and so wreck their own eyes for life? Are the defective eyes of today to be treated only with glass lenses because no other help was known in what has been called the dark ages? But in all this the eye itself is absolutely ignored as a living, vital end organ of a human being. It is treated like a hopeless wreck that cannot do its own work, and can never function again except under the orders of a piece of ground glass. The only light rays it is to receive are to be the ones refracted through the precise correction determined by a vision scientist. In medical literature there is constant reference made to lenses that are not correctly fitted. In those cases the eye must labor constantly against an obstruction which never changes. There are many things to say against this system which offers no relief to an eye in distress except the crutch which is called an artificial lens. But there is always one stern challenge to this system. The lenses must be changed again and again, made stronger, we are told, because the eyes are growing weaker. These propagandists warn the public to remember that their eyes are their most precious possession, and plead with them to take good care of them. No doubt they are positive that there is no other care to be given for a faltering eye function except a pair of spectacles. If there were no known remedy for the relief or cure of defects of vision, one might simply find amusement in the frantic concern which is exhibited by vendors of glass lenses. One might feel that it was really a kindness to spend enormous sums of money in advertising to millions who are unconscious of any difficulty with their vision, the danger of not having their eyes examined so that they will be sure to save them ! One might still wonder what is in the minds of campaigners who are determined to make everyone in the United States eye conscious. There are many millions who can see better with their unaided eyes than most of the spectacle wearers with their glasses on. Since the wearing of glasses generally makes the eye progressively more helpless without them, where is the danger of waiting until they are needed? The artificial lenses certainly do not prevent the eyes from growing poorer and poorer in function. The wearers are told that they must buy stronger glasses because their eyes are growing weaker. Suppose we stipulate, as the attorneys say, that the campaign is prompted by the belief that all those who are not wearing glasses are in danger of losing their vision. Let us then, on the other hand, consider the possible effect on the public mind of this vast and intimate network of subtle advertising by window displays and magazine articles and radio broadcasts. None will question that the millions which have been spent advertising cigarettes, for instance, have been repaid through the psychological effect of the beautiful lithographs. In other words, “it pays to advertise.” And also, perhaps, the end justifies the means. But how many are there who will deny that millions of eyes have been fitted with glasses, that could have functioned without them if the owners had not been perauaded that they had better get eye conscious and save their vision from future calamity? In this field two incidents, quite recent, are most remarkable. In the public press there was a notice of a reported patent, secured for a machine which is to measure the degree of inferiority of an eye in its relation to ordinary sunlight. It is to tell just how defective the given eye is in contact with its best friend, the light of day. The number on the scale which is registered by the new machine will tell the salesman what specific color the particular eye is to wear when it goes out in the daylight, where the rest of the race walk up and down on the earth unconscious of the enemy, the sun. With the colored glasses on, everything the inferior eye looks at will be of the same color, blue, or smoky, or orange, or whatever shade the salesman decides on. As the glasses now are made stronger, probably the glasses of the future will change color each time the eyes go to the store, and the world will change from straw color to blue or mauve. What the brain will be thinking of, and how it will be embarrassed, as it deciphers out the deception – well, that surely takes us into the domain of the psychologist. The second incident is certainly food for thought. In- stead of wearing glasses in front of the eye, it is proposed, as a kindness to a crippled eye, that the artificial lens be fastened to the eyeball, held by suction, between the eye and the eyelid. What an inspiration I Even the crudest conception of the eye itself must surely be impressed by the possibilities involved in such an intimate contact of an enveloping foreign substance clinging constantly to the sensitive covering of the eyeball. The coating o€ the eye is kept constantly moist as well as clean by a suitable fluid secreted, and this fluid is spread carefully over the surface of the eye every time the eyelids close au tomatically, as they wink all day long. just what interference with that provided protection would be accomplished by such a remarkable paraphernalia, only experience can reveal. Deprived of its necessary lubrication, a dry eye is a troubled eye. Tiny particles of dust captured between the sensitive covering of the eye and its new underwear might possibly arouse new ideas. Such an unceasing suction on that sensitive membrane might develop complications on the surface which would demand attention. But the deeper effects might be more important. It is established beyond question that the most trivial irritations, even in distant parts of the body, may cause a considerable disturbance in the conduct o€ the refraction of the eye and of the vision centers. What should one reasonably expect from such a constant impression, made by an unceasing interference with the natural conduct of the eye? It is hard enough for one to try to imagine carrying all the time a piece of foreign tissue stuck to the eyeball so tight that the lens built into it would always match perfectly the margins, and the movements of the lens of the eye. How could the best qualified specialist estimate the serious secondary conditions that almost certainly would complicate such an interference with the mechanism which has been evolved during eons of time by the development of the human eye? Nothwithstanding, however, that the discovery is not generally known, it has now been established for many years that the eye is not different from every other part or function in the human body. It is not a hopeless and helpless wreck just because its marvelous mechanism has faltered in its function. The eye is quite near to the brain which controls it. It is quite responsive to the correcting influence of the vision center in the brain. It is so accessible to conscious effort on the part of an interested attention, that it is easier to constrain the misbehaving eye to act in a normal manner than it is to correct abnormal function in almost every other organ or sense organ in the body. Whatever may be the belief of those who have glasses to sell; or whatever may be the individual attitude toward the question of wearing or not wearing spectacles, there still remains a problem which has a most vital public interest. Those who are concerned in the future of the United States will do well to analyze the situation. Every thoughtful American should consider the promise there is in this avowed purpose to make every citizen of his country helpless without a pair of artificial lenses on his face. It is certain that the longer glasses are worn the more helpless the wearer becomes if he is obliged to see without them. The vast number who are already in that condition is not so serious a question as is the fact that in recent years this number has been increasing at a rate which multiplies itself each year. The strange and ironical and dangerous aspect of this subject which has a tremendous national interest, is that if and when the eye is taught to be itself, the salvation of the eye will involve an interference with the merciless greed of commercialism.